Montreal’s Miguel Duhamel, now based in Las Vegas, is certainly one of the best road racers ever produced in Canada. He is central in the discussion surrounding Canada’s top ever International competitor, along with earlier era stars like Mike Duff as well as Miguel’s legendary father, Yvon. 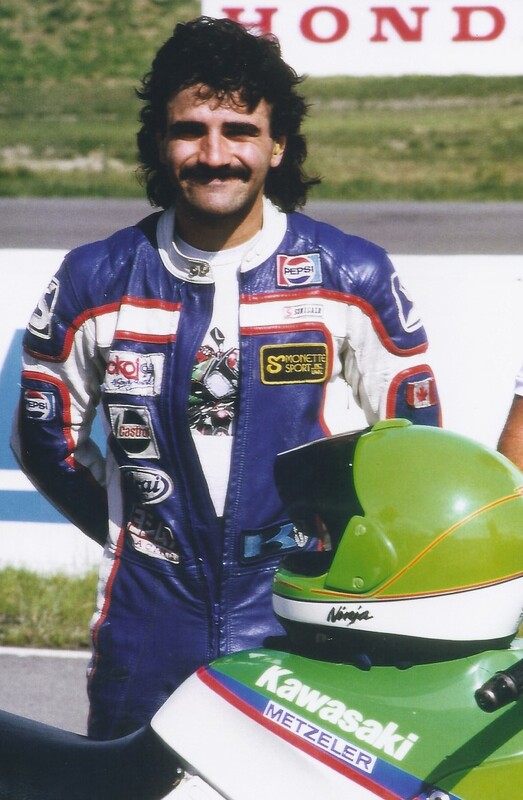 Miguel, along with older brother Mario and sister Gina, learned to ride on mini bikes at an early age, often in public, at race events where father Yvon was working, representing Deeley Yamaha, Yamaha Canada, and especially Kawasaki. From there, Miguel climbed the dirt bike competition ladder, eventually winding up in Super Cross. 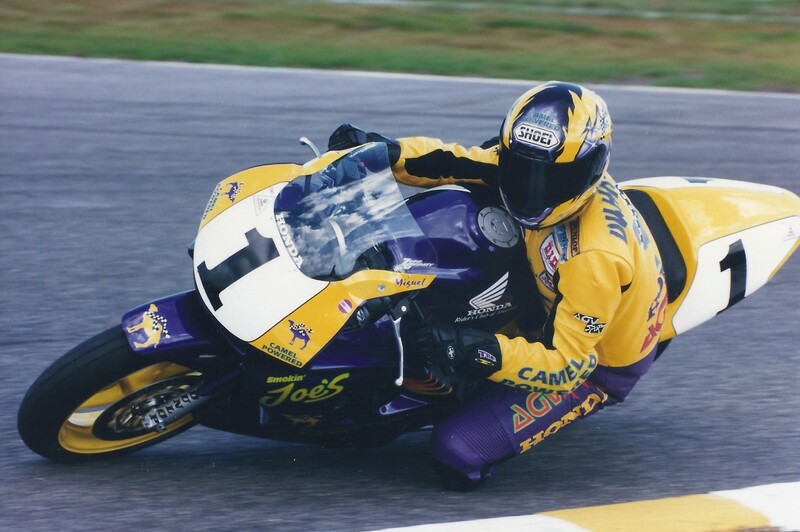 Miguel switched focus to road racing in 1987, riding Yamaha RZ350 and FZ750 equipment to considerable success in Eastern Canada. 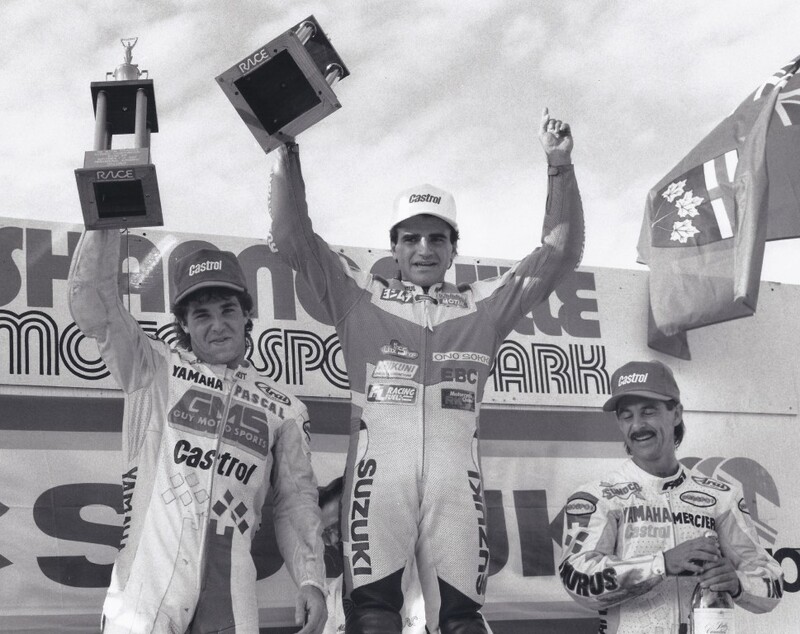 Duhamel stepped up to Pro, earning Top Rookie Honors in 1988 aboard a wide selection of Monette Sport Kawasakis, backed by Pepsi with support from the family motorhome. He won his first career Pro Superbike National at the end of his rookie season, in the rain, beating Michel Mercier at Shannonville. At the end of the 1988 season, Miguel joined his brother and father to race in the prestigious Bol d’Or 24 Hour race in France, attracting the attention of Honda. From there, Duhamel teamed up with Manager Alan Labrosse, signing with Suzuki Canada for 1989 to ride for the works team run by George Morin and constructed by legendary tuner Mike Crompton. As -well, Labrosse got Miguel an second-string AMA 250 Grand Prix ride with John Lassak, and a try-out with Yoshimura-Suzuki. 1989 started with testing in Australia for HRC Honda, then racing well at the opening AMA rounds at Daytona and Road Atlanta. He set a 250 G.P. lap record at Road A, as well as at the spring Match Races at Shannonville. When the Canadian National season opened, Duhamel won Sanair and round two at Shubenacadie, dramatically edging first Steve Crevier and then Rueben McMurter. At Mosport in June, Duhamel made his World Superbike debut, charging into the lead past Fred Merkel only to fall in the first leg. Unfortunately, Duhamel crashed the works Honda in Japan while preparing for the Suzuka Eight Hour, a broken femur ending his amazing season before it was half over. 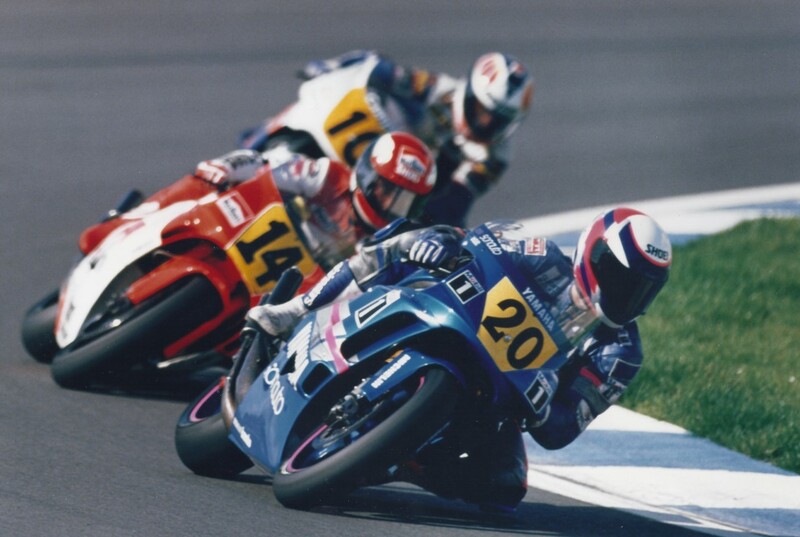 In 1990, Duhamel rode in the U.S. for Yoshimura-Suzuki, with newly crowned Canadian Champ Crevier as his team-mate, as well as riding for Suzuki in World Endurance and, when possible, back home in Canada. Busy with world Suzuki commitments, Duhamel pushed development of the GSX-R down south with the help of tuner Crompton, beating the dominant Kawasakis at the final round of the season at Topeka – his first American Superbike success. In Canada, Duhamel rejoined his team to win the final National of the season at Shannonville, battling the Yamaha of rising star Pascal Picotte. This turned out to be Miguel’s last-ever career start in Canada. Duhamel jumped full time to Commonwealth Honda in the U.S. in 1991, starting his full-time AMA career in style, winning the 50th annual Daytona 200. He also earned the SuperSport Championship with the brand new Honda CBR600F2. At the end of the season, Labrosse put a deal together for Duhamel to ride a works 500cc two-stroke Yamaha at the SuperPrestigio in Spain, where Miguel did well enough to earn a job with Yamaha France for the 1992 Grand Prix Championship. Duhamel started all 13 rounds and wound up a solid 12th in the standings, right behind veteran team-mate Niall MacKenzie, with a fifth in Brazil, his best race result. 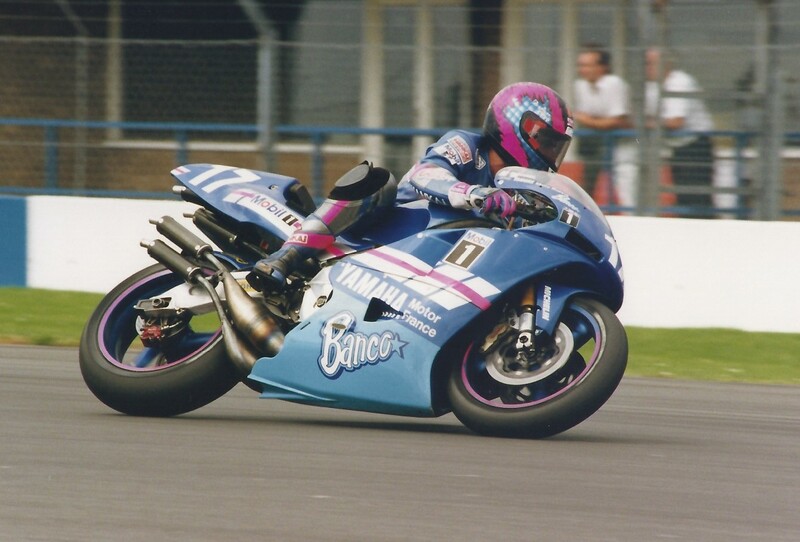 Duhamel returned to the U.S. tour with Muzzy-Kawasaki in 1993, winning on the Superbike at Sears Point and taking another SuperSport title with seven wins. 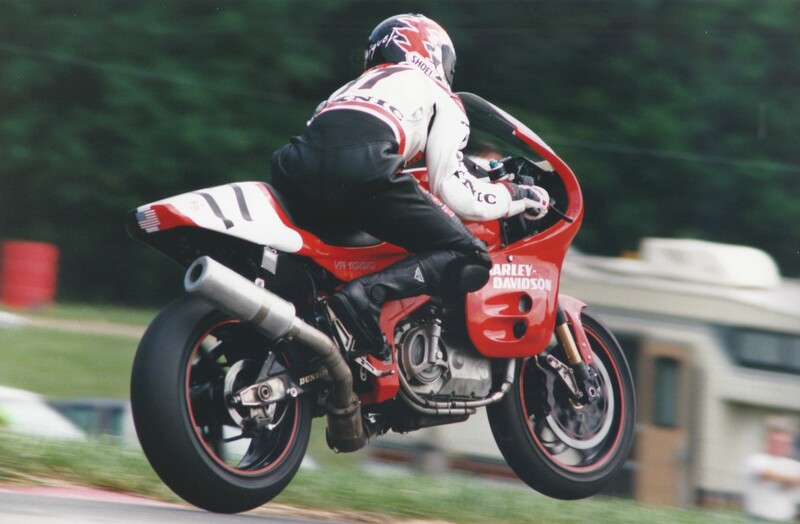 Duhamel took a huge gamble in 1994, joining the all-new Harley-Davidson Superbike team, attracting lots of attention while leading two Nationals on the under-development twin. Duhamel rejoined HRC and American Honda for 1995, starting a dynasty that was only interrupted by injury. He set a record with six consecutive Superbike wins on the way to the Crown, as well as SuperSport and AMA Athlete of the year honors. 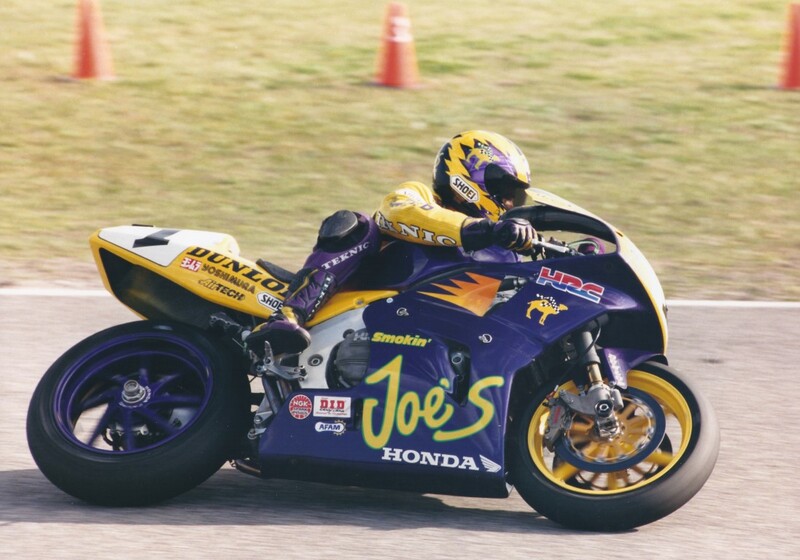 Duhamel became the winningest Super Sports rider in history in 1996, with his 28th career win on his way to the title – Miguel remains the most successful racer in the history of the Super Sport category. Early in 1998, Duhamel suffered a big crash in practice at Loudon, New Hampshire, missing the rest of the season and barely ready for Daytona 1999. 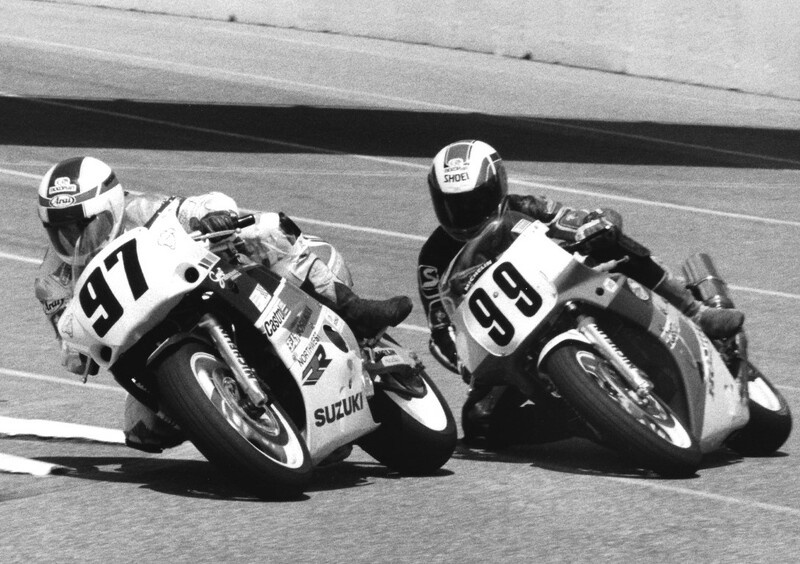 In a legendary effort, Duhamel won both the Super sport and Daytona 200 season opening races, only to suffer another multiple-injury fall at Road Atlanta. 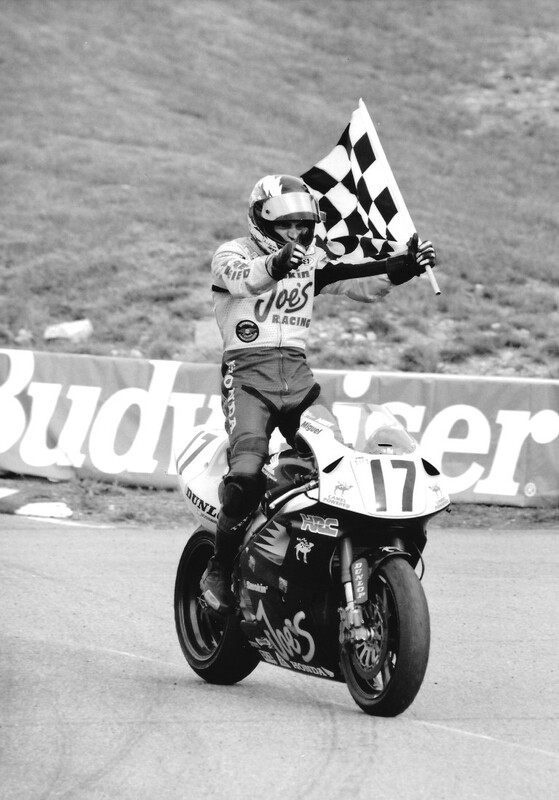 In 2002, Duhamel became the all time winningest Superbike racer in AMA Pro history. In 2004 Duhamel earned his fourth Daytona 200 win, and won the new Formula Extreme class title in 2004, backing that up with the 2005 crown. Honda recognized his loyalty with a wild card ride for the Gresini Team at the MotoGP round at Laguna Esca in 2007. Unfortunately, a testing crash at Road Atlanta sidelined Duhamel for the rest of the season. In his final full time season, 2008, Duhamel earned five top-five finishes on his way to seventh in the final standings. Since then, Duhamel has made one-off rides for Picotte Performance, and won an E-Power electric bike race for Barracuda in 2012. Perhaps Duhamel’s most impressive career stat are his five Daytona 200 wins, tied atop the all-time victory list with former rival Scott Russell.